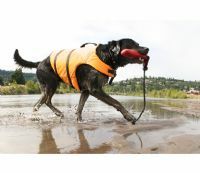 At Pet Holiday Finder we have selected some of the best dog travel accessories. & and general travel accessories, ideal for camping and caravanning or picnicking outdoors on your holiday or at home. Our aim is to have a vast range of dog travel gear, something for everyone and their dog. If you have not found what you were looking for, please contact us, maybe it is something we should list. If you are looking for holidays that allow pets or dogs you have come to the right places. Here at Pet Holiday Finder we have a large selection of Pet & Dog Friendly Accommodation, Ranging from self catering Cottages & Apartments, B&B's, Hotels, Holiday Caravan Sites to animal friendly farm accommodation all direct from the property owner. 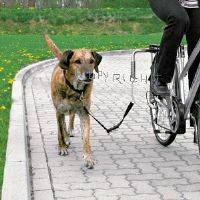 Ideal product if you enjoy cycling and wish to take your dog with you. 4paw award. 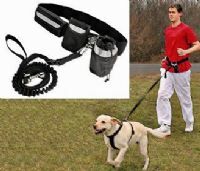 Ideal product if you enjoy jogging with your dog, home or on holiday. Ideal product if your dog enjoys being around water. secure your dog whilst out on a picnic, camping, caravanning etc.. Great for securing garden items too! !